After his starring role in extending the Los Angeles Lakers playoff drought to an inconceivable sixth season, NBA superstar LeBron James might be forced to trot out the same underwhelming crew that embarrassed itself all year for his upcoming Space Jam 2. According to NBC Sports, the Akron native is struggling to reel in big names like Golden State Warriors forward Kevin Durant, or soon-to-be MVP Giannis Antetokounmpo, to join him in giving The Monstars the business on the silver screen. 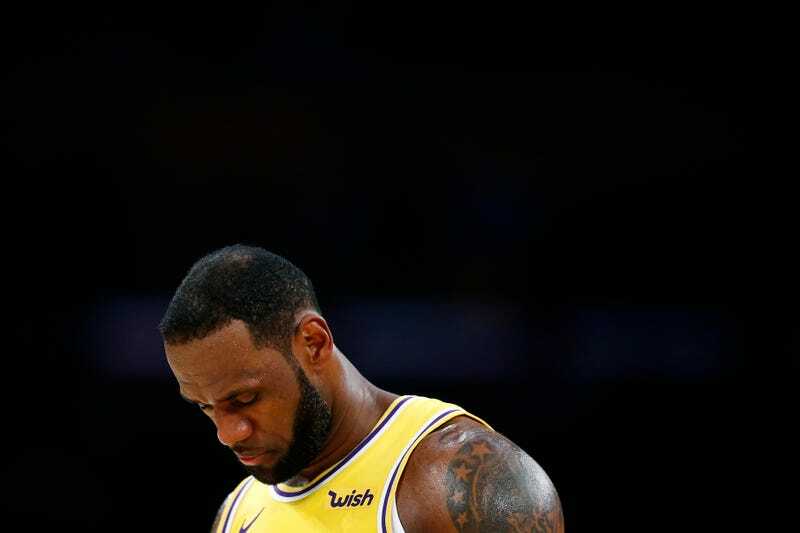 Los Angeles Lakers president of basketball operations Magic Johnson and general manager Rob Pelinka built their roster about as well as Dr. Umar built his school—and it appears LeBron might be forced to follow suit. If I’m Dame Lillard I’m not trying to get dunked on for a check either. But since LeBron will be watching the playoffs on the couch with the rest of us, I guess he’ll have plenty of time to revamp his recruitment methods—both for the Lakers next season and for his upcoming movie. Filming and production for Space Jam 2 is scheduled to begin this summer.